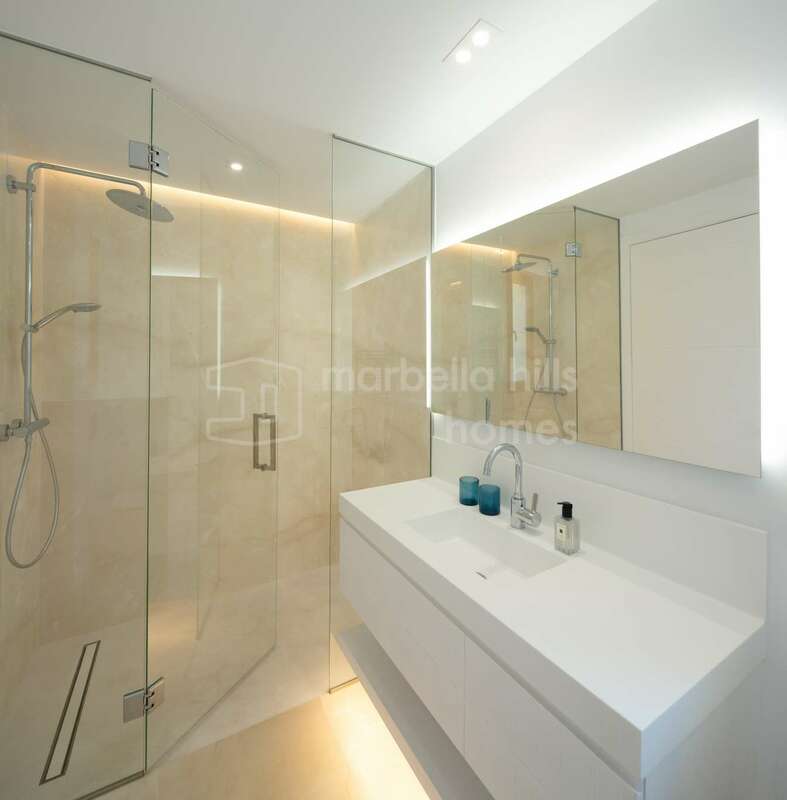 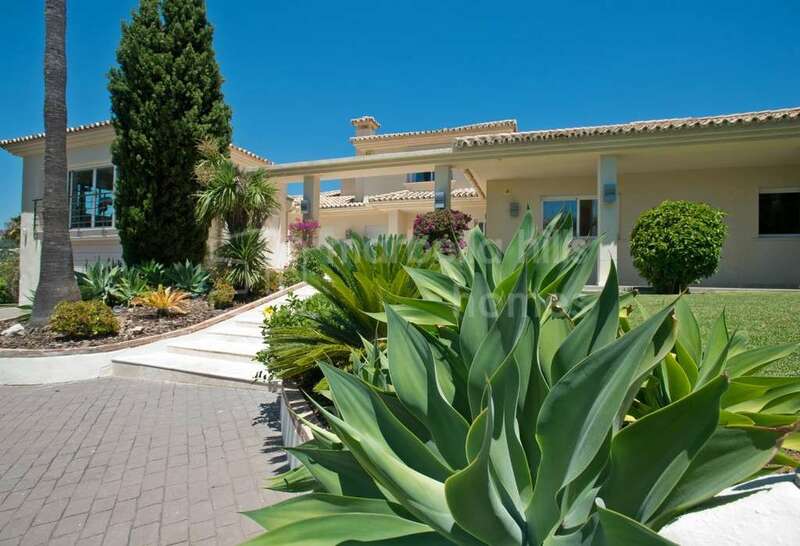 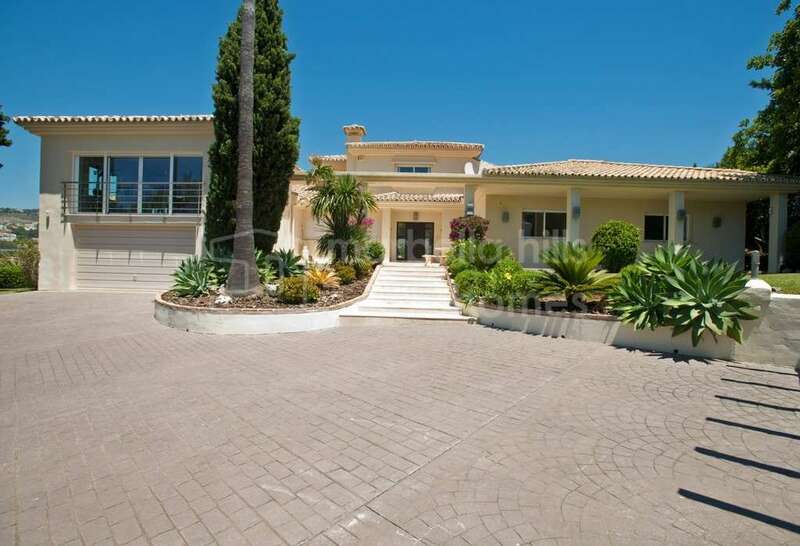 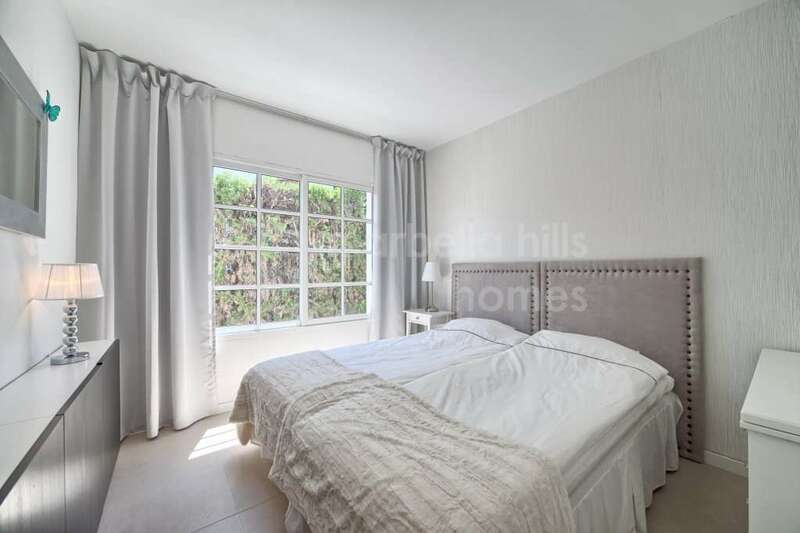 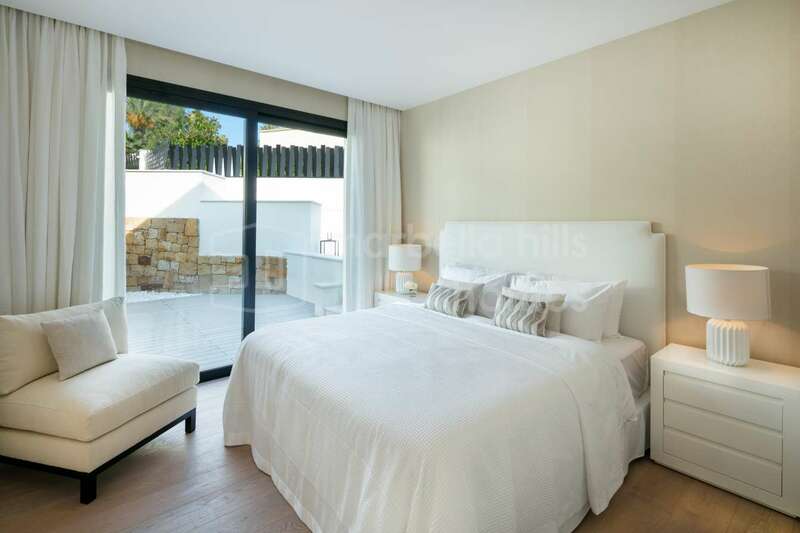 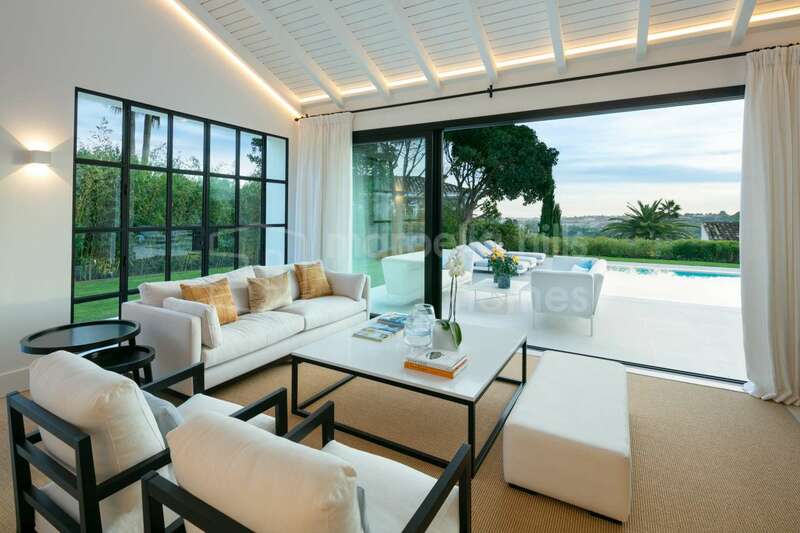 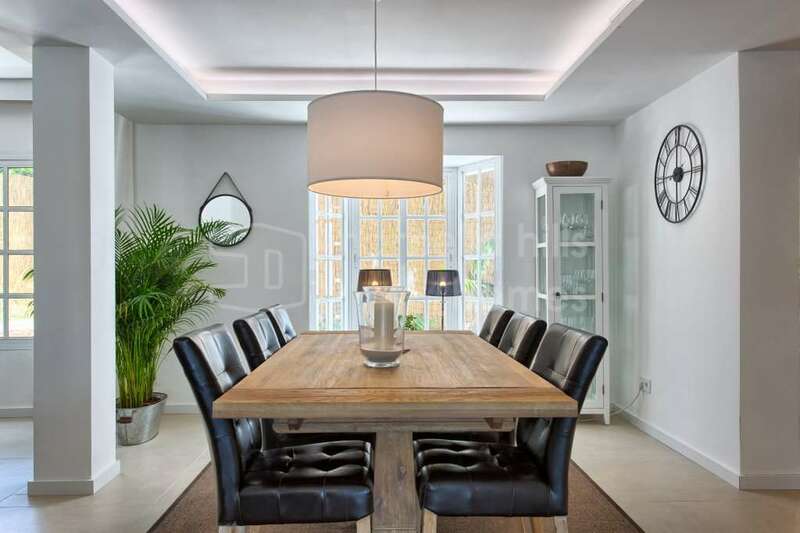 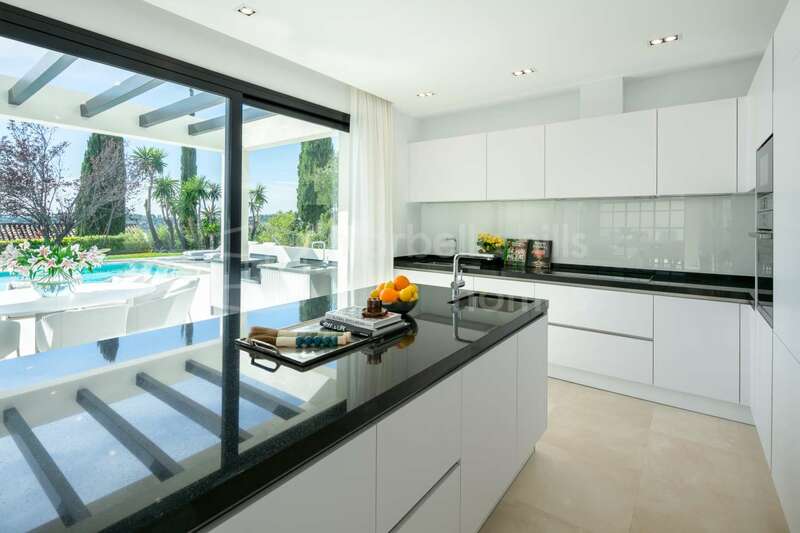 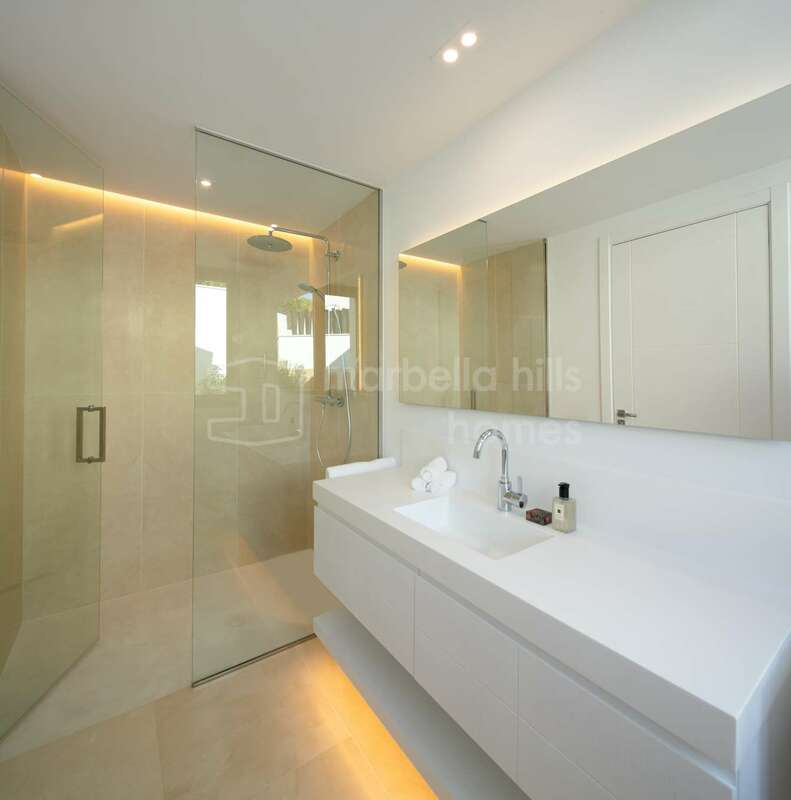 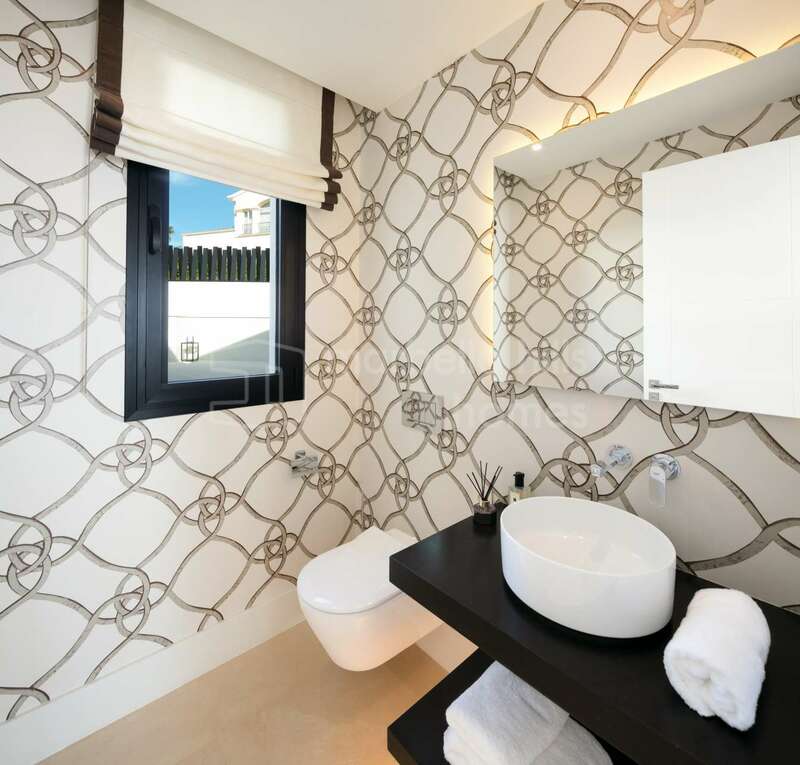 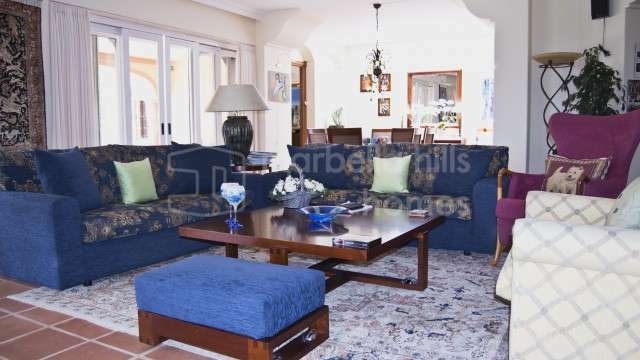 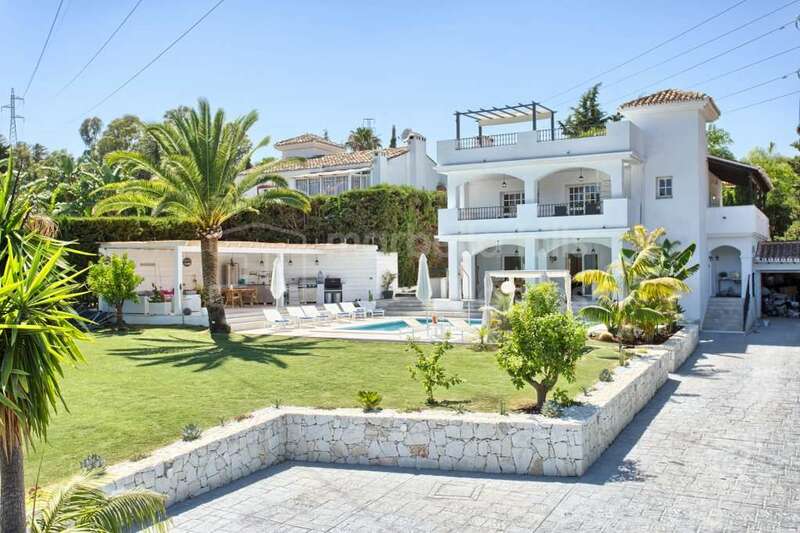 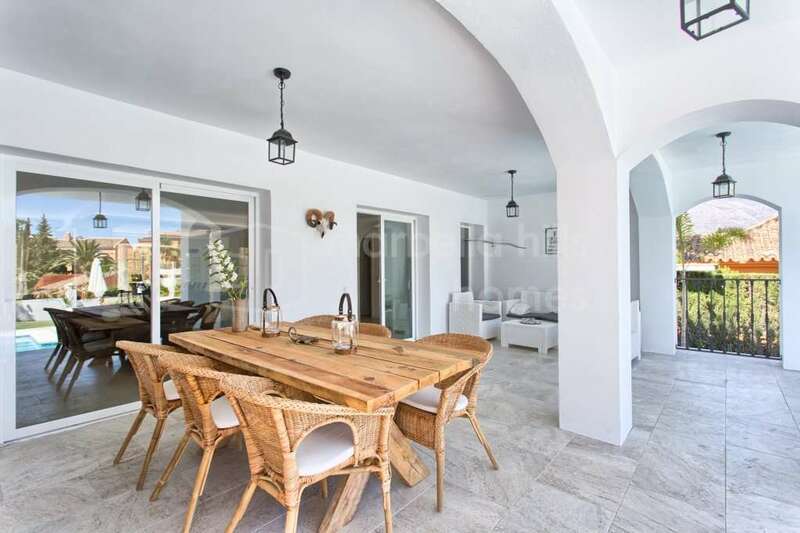 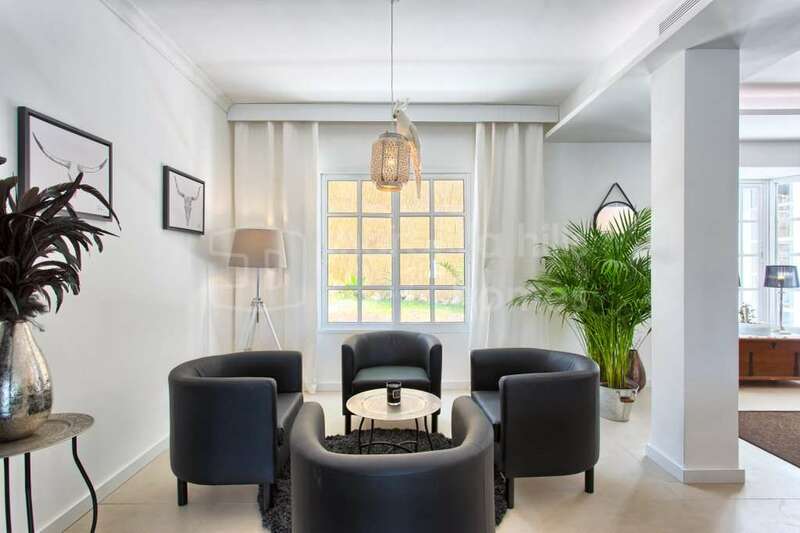 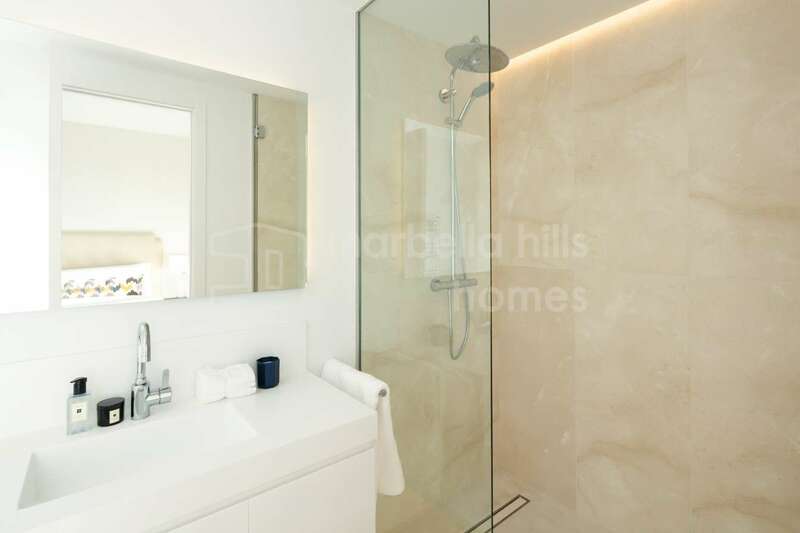 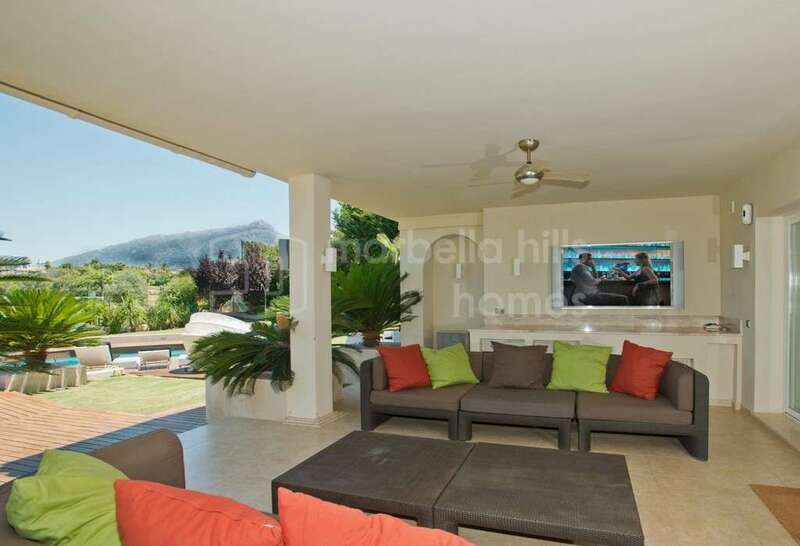 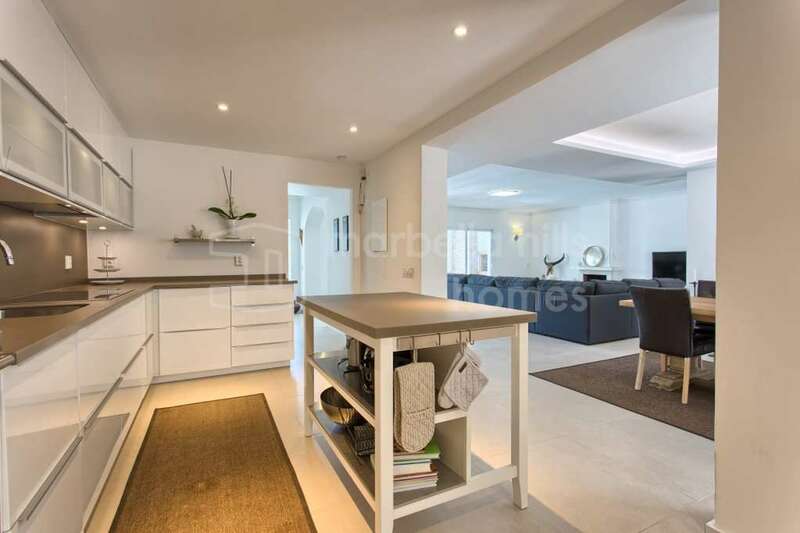 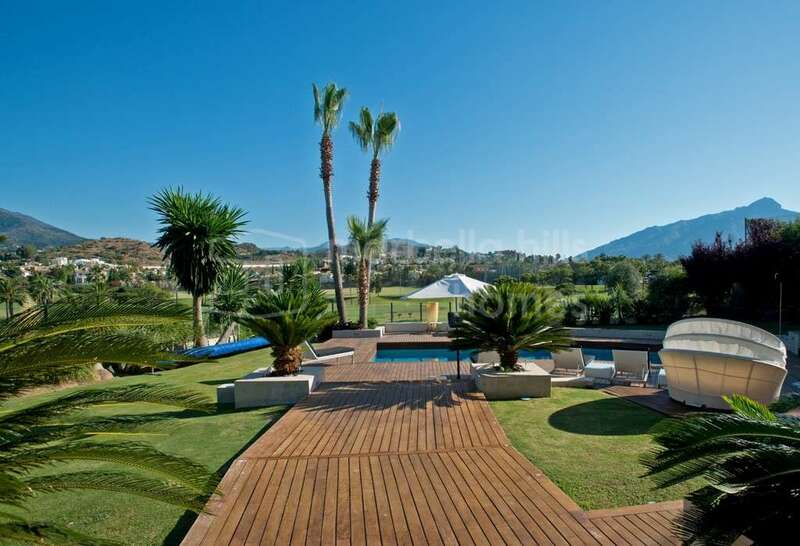 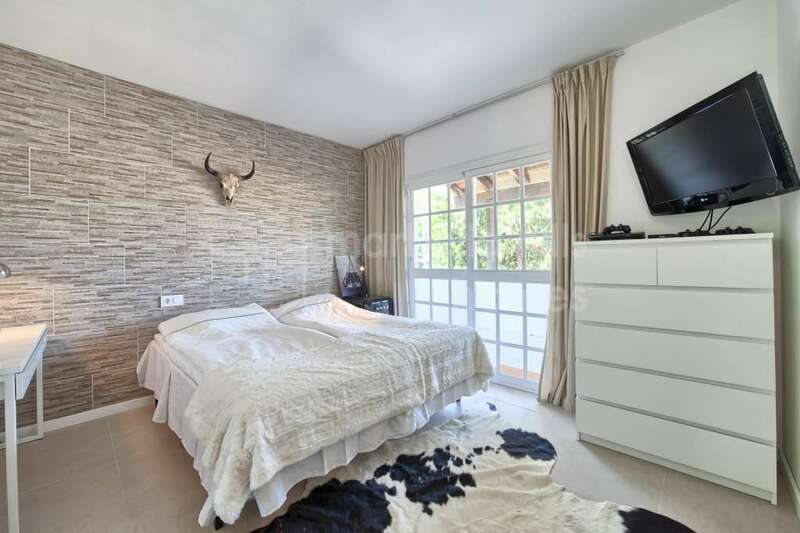 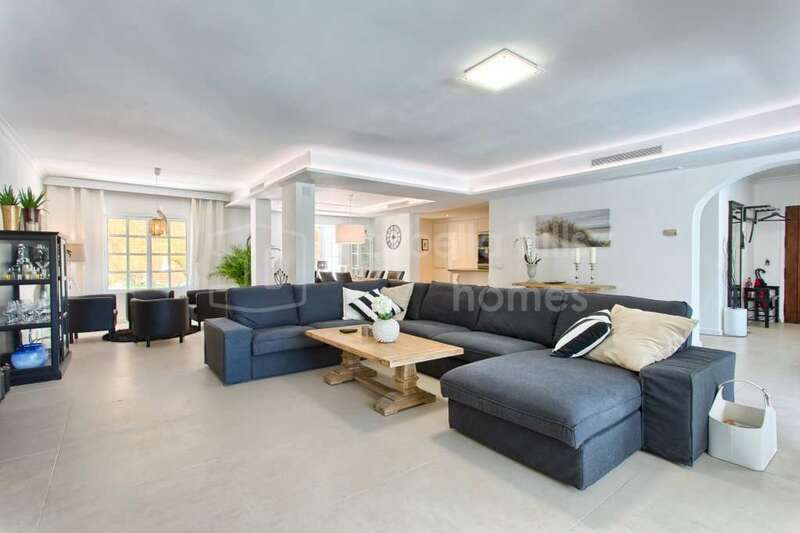 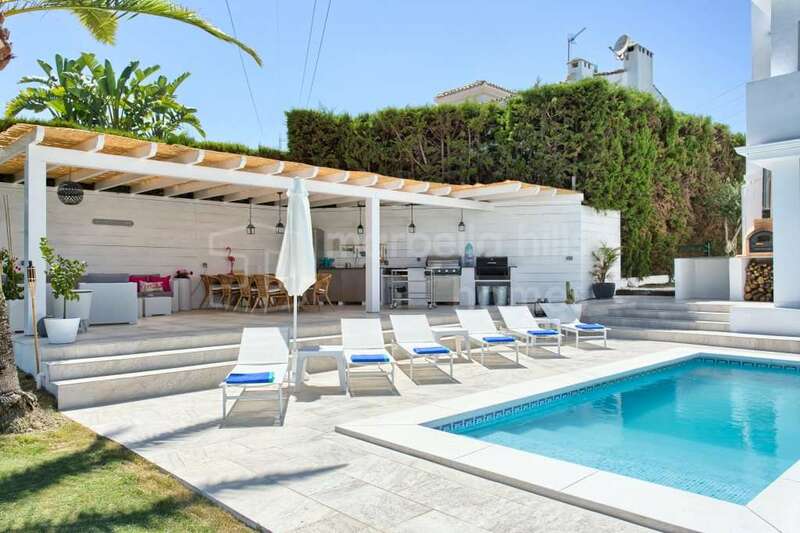 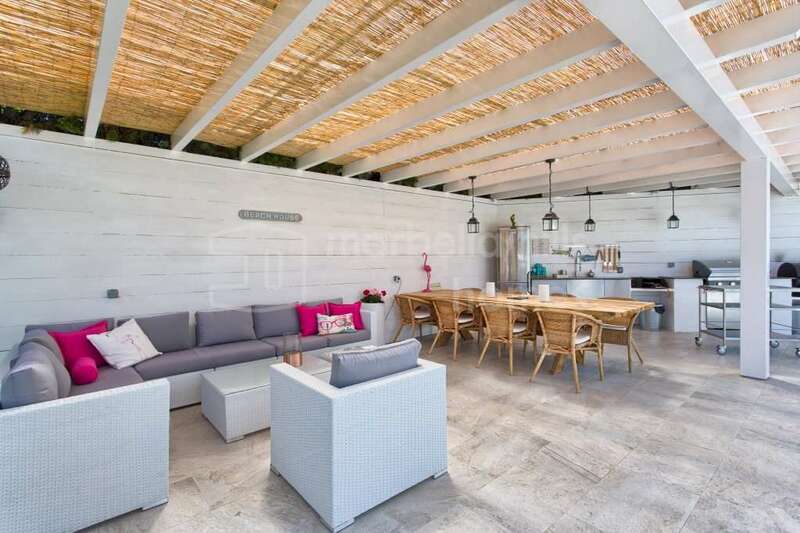 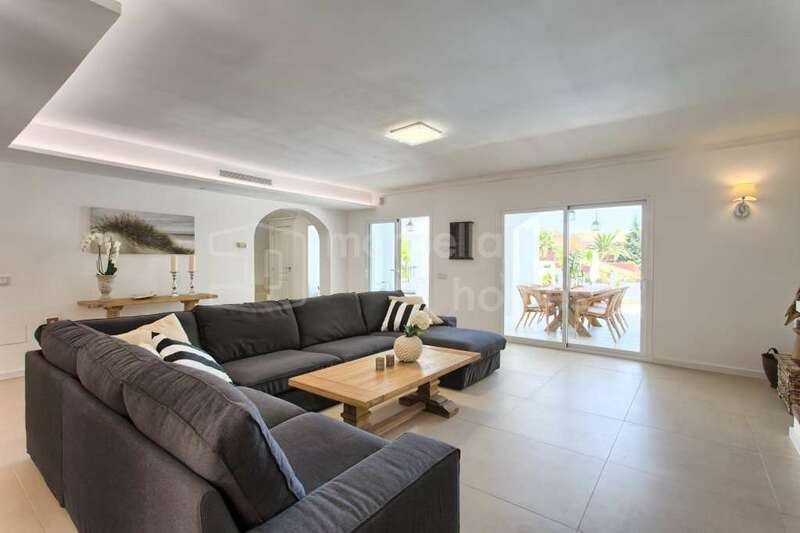 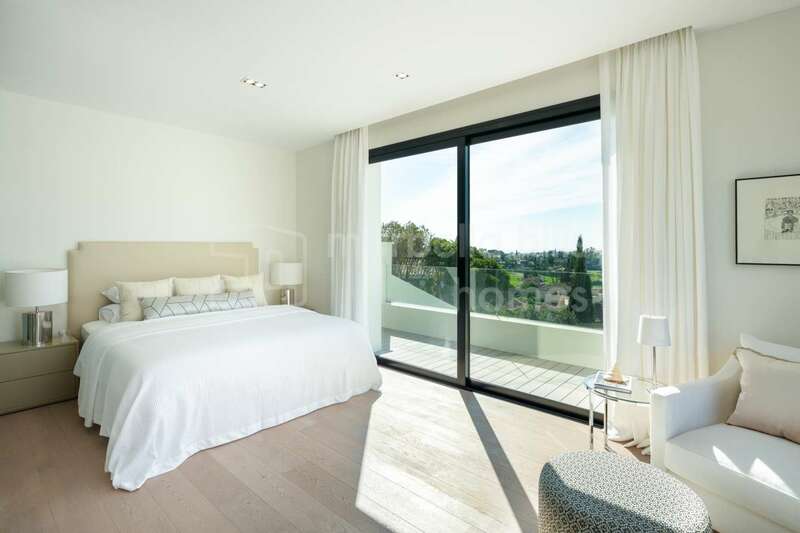 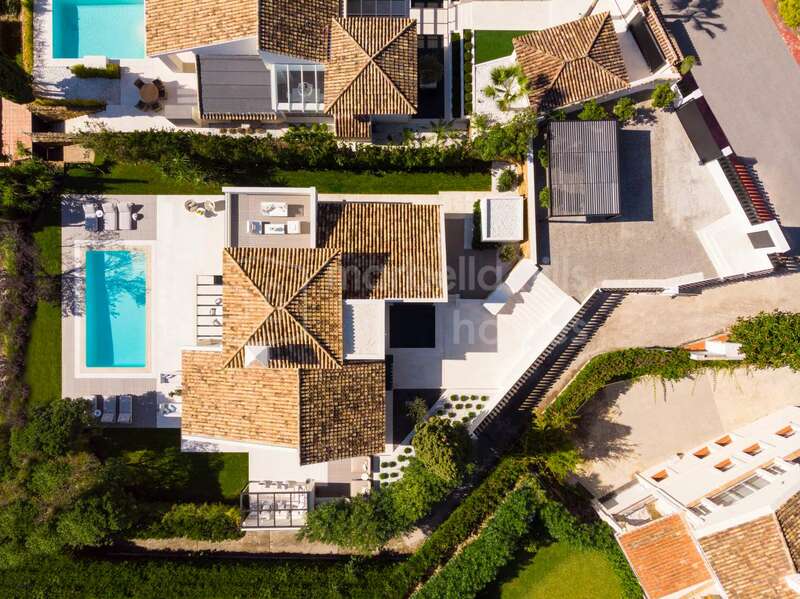 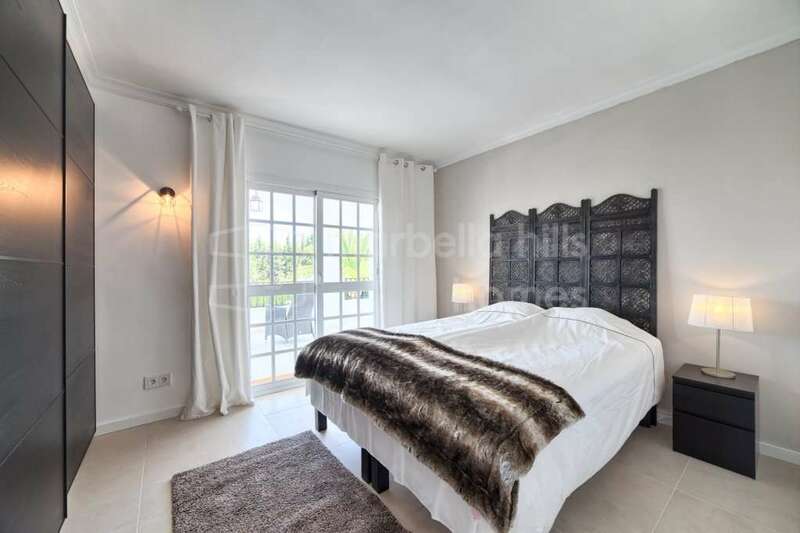 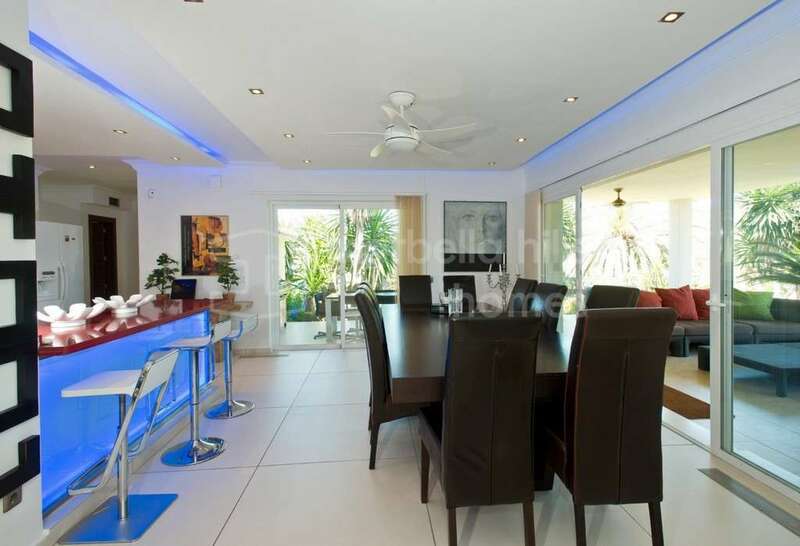 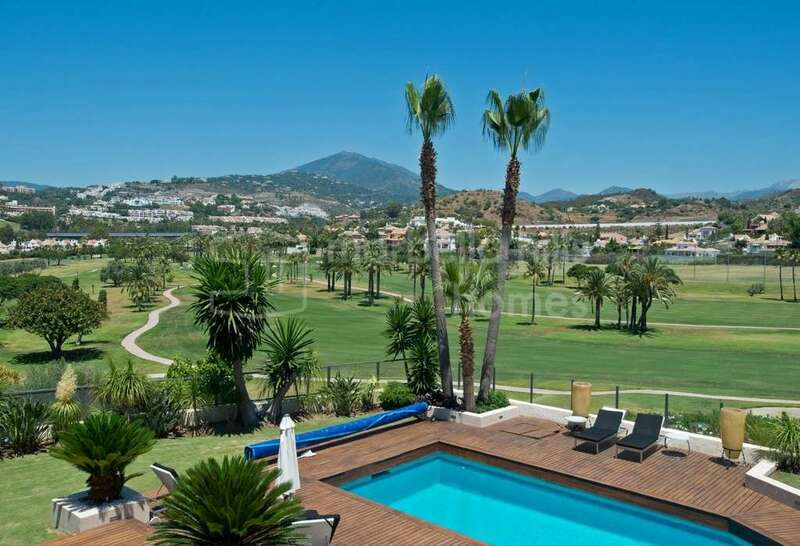 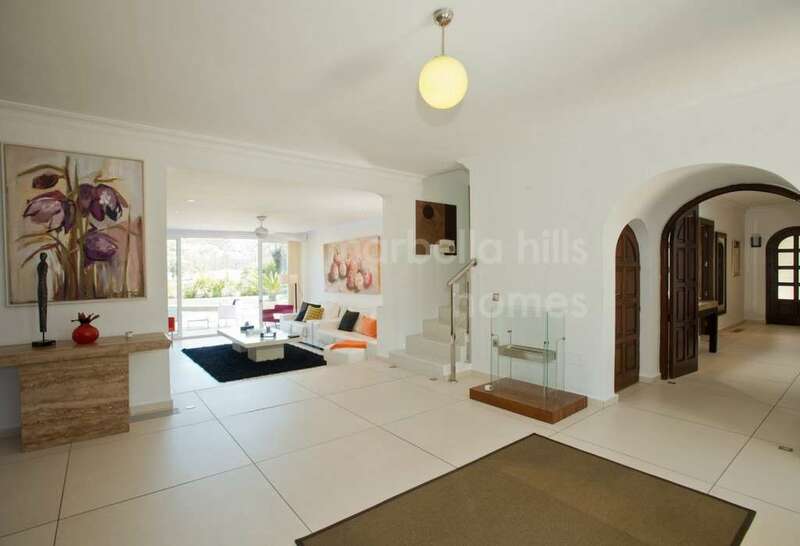 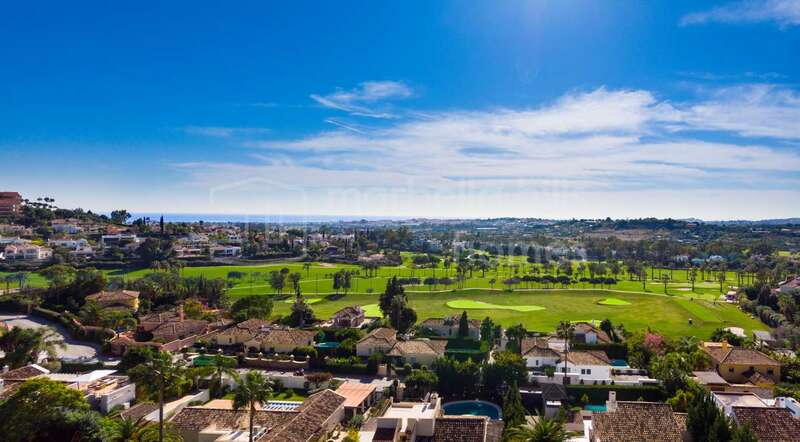 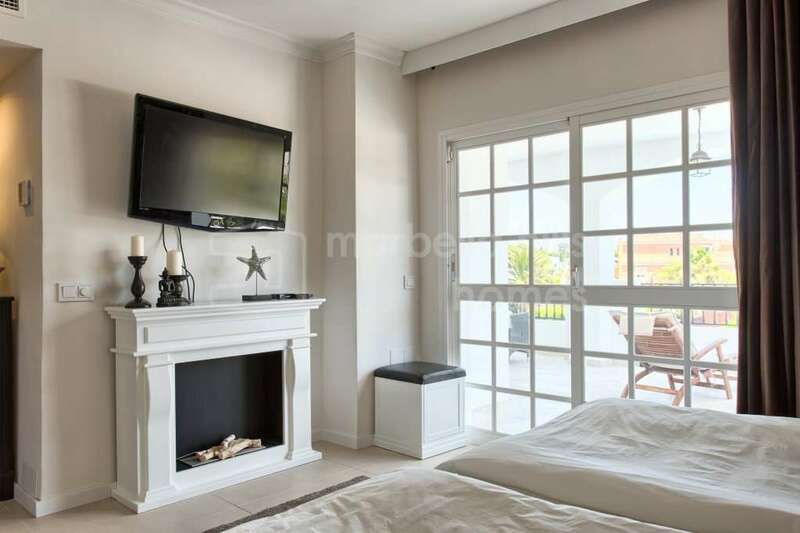 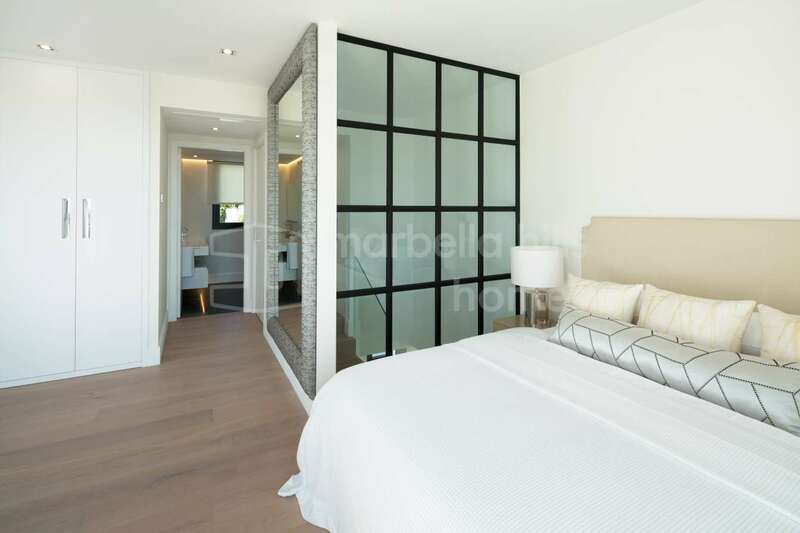 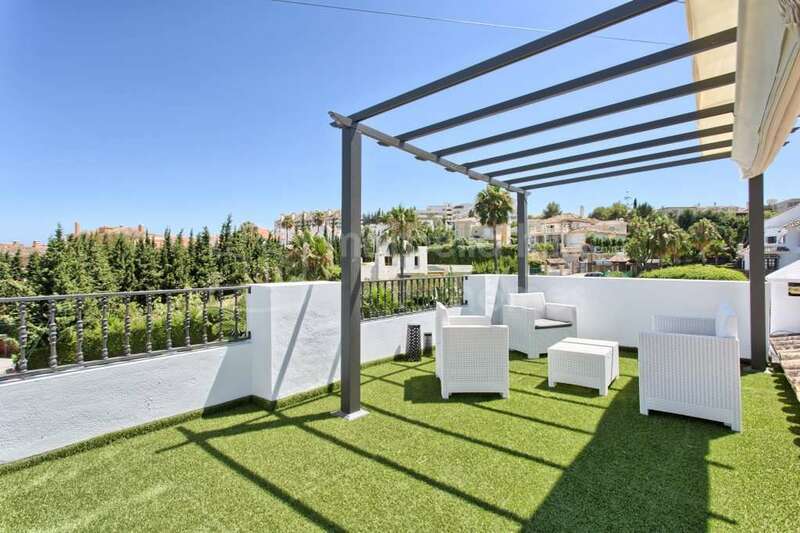 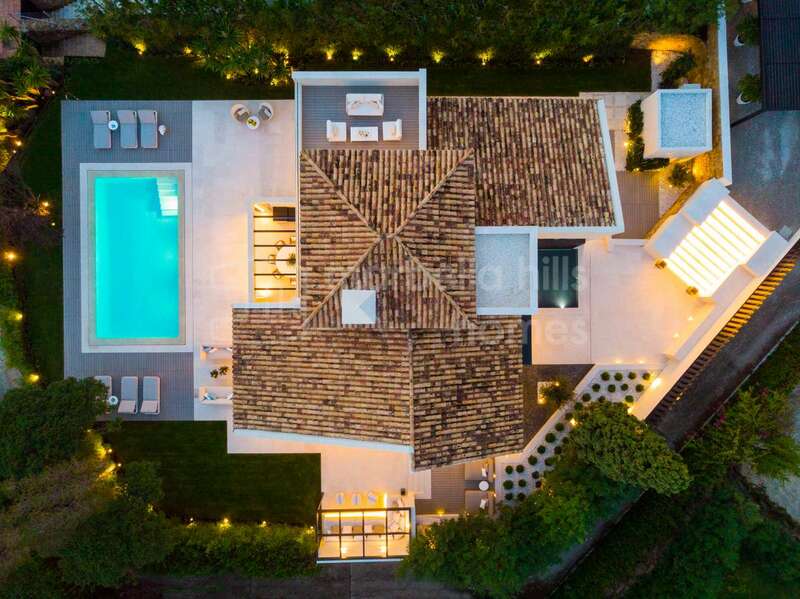 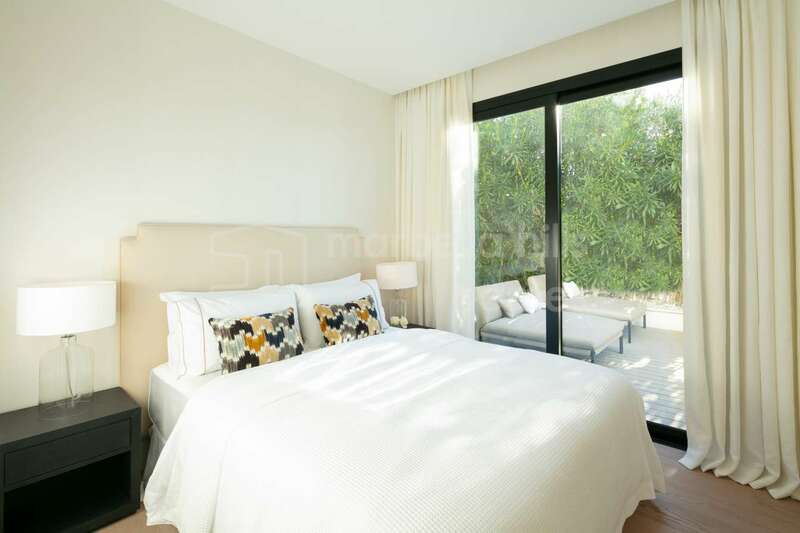 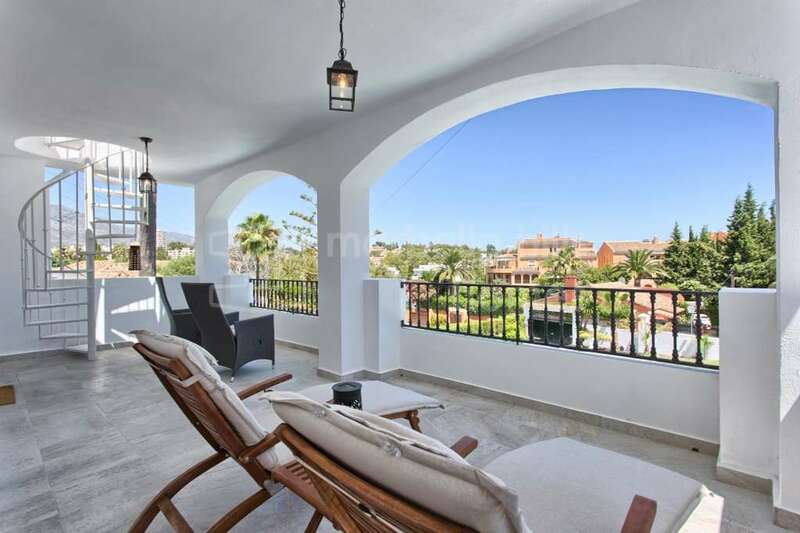 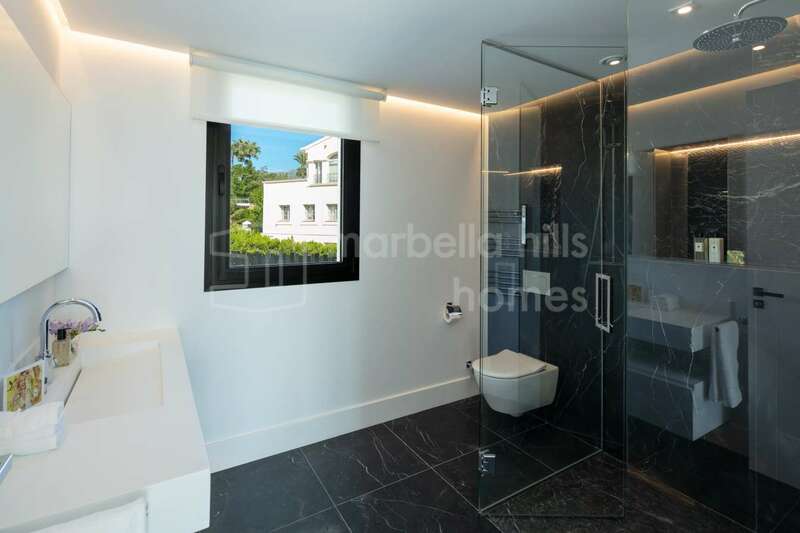 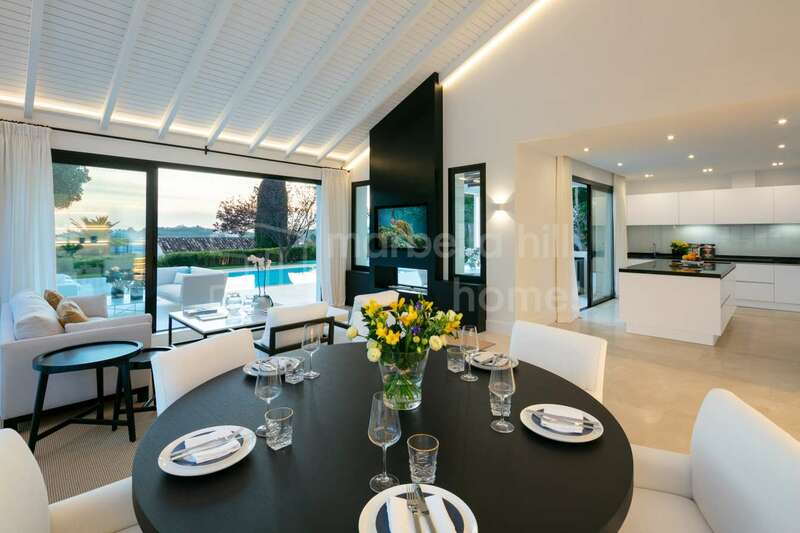 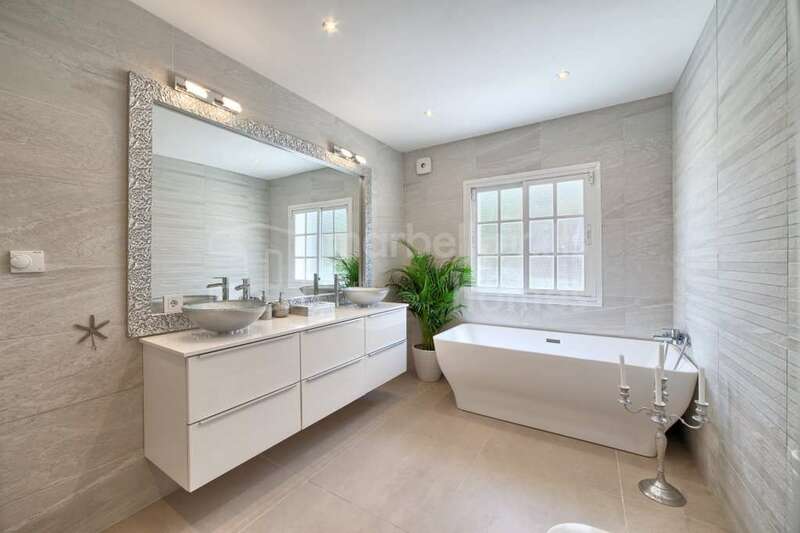 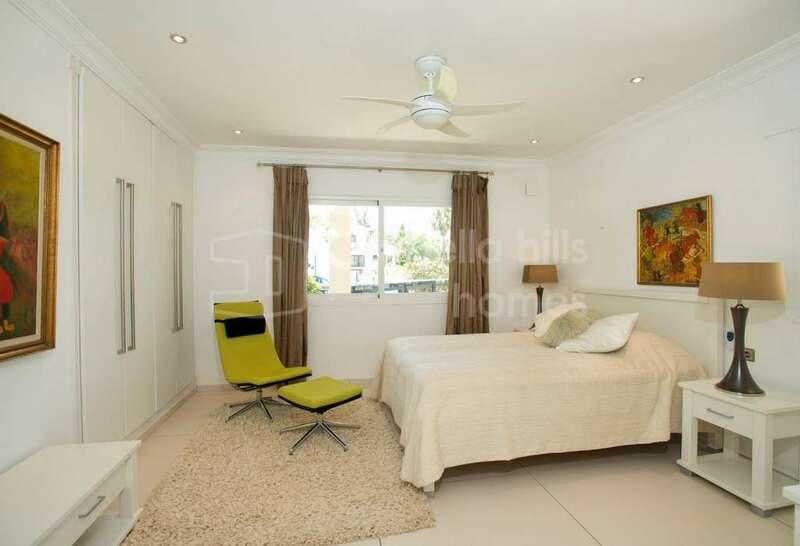 Modern frontline golf villa located in the sought after area of Nueva Andalucia, offering impressive views to the Los Naranjos golf course and La Concha mountain range. 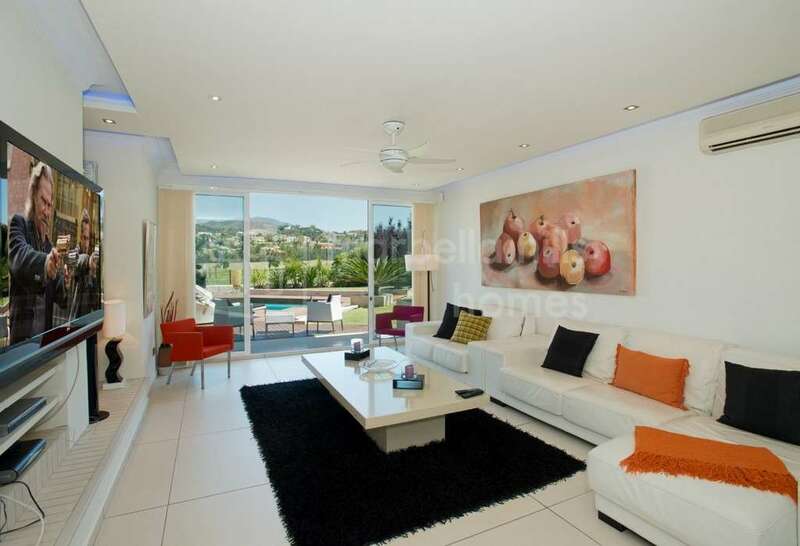 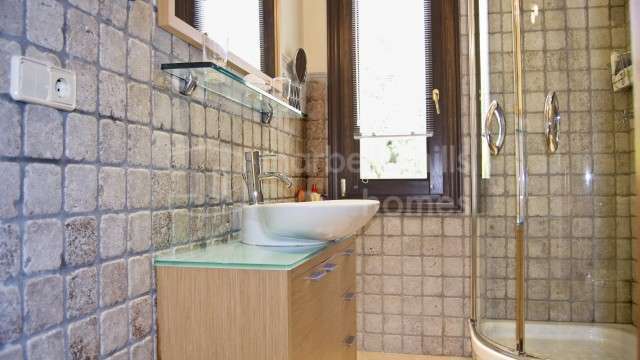 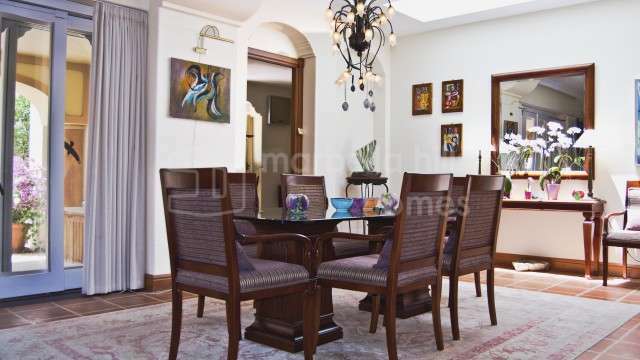 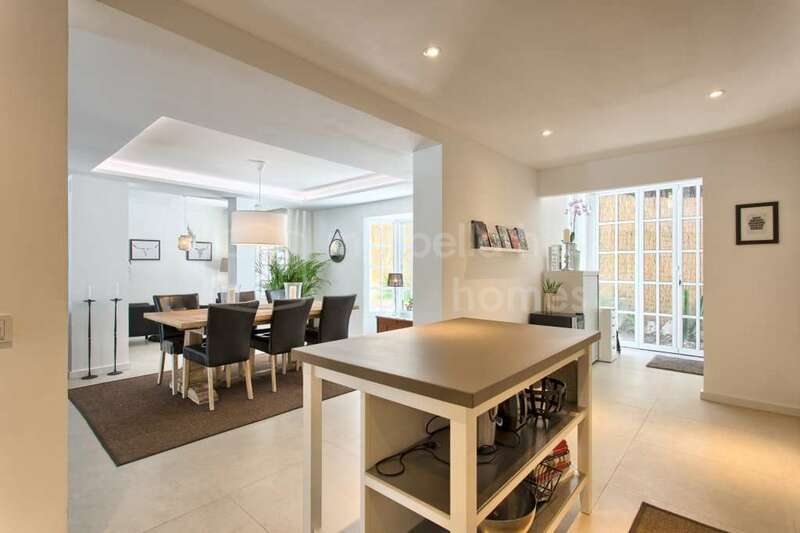 Situated, within easy reach to all amenities including restaurants, shops, international schools and more. 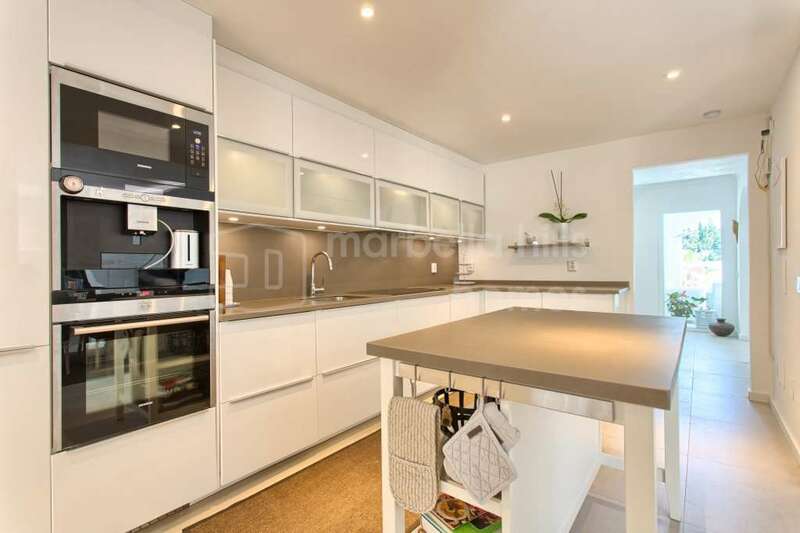 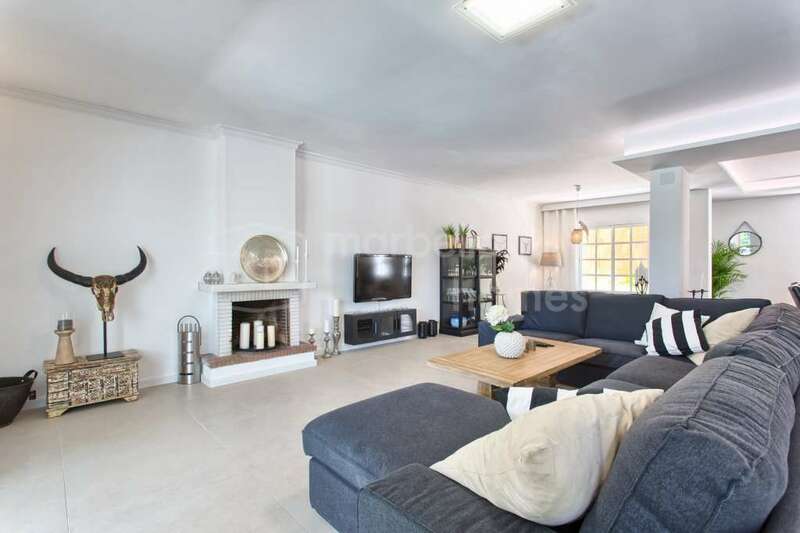 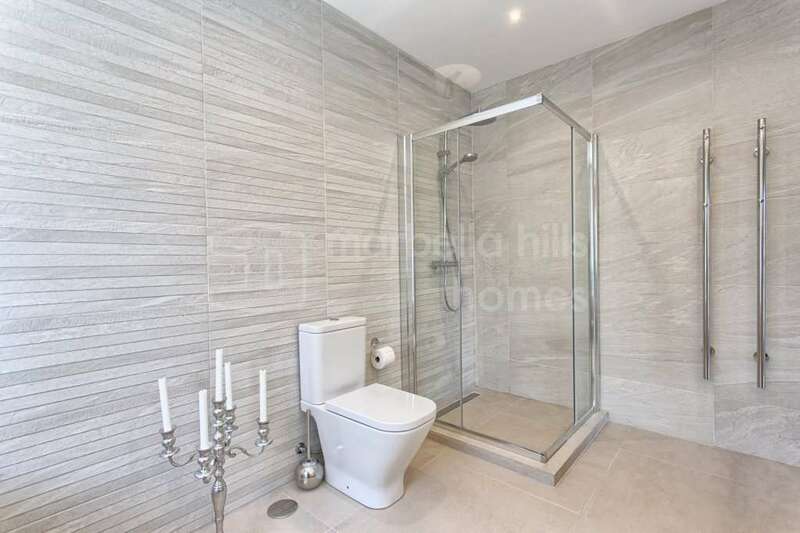 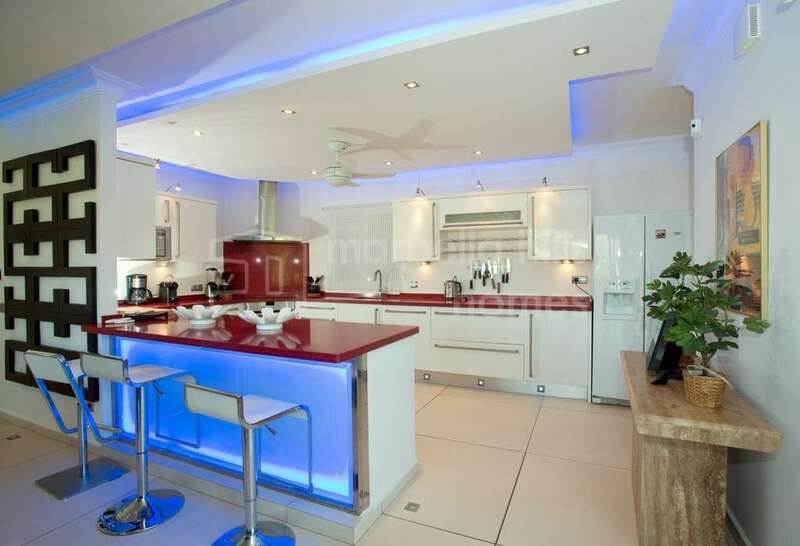 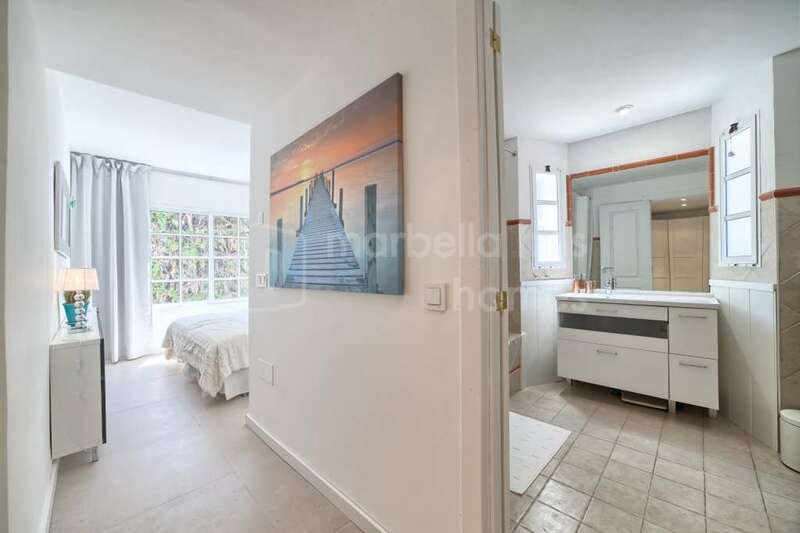 The accommodation comprises of an entrance hall leading to a bright living area, direct access to the landscaped garden, dining area adjacent a fully fitted designer kitchen, guest cloakroom and four double bedrooms with en-suite bathrooms. 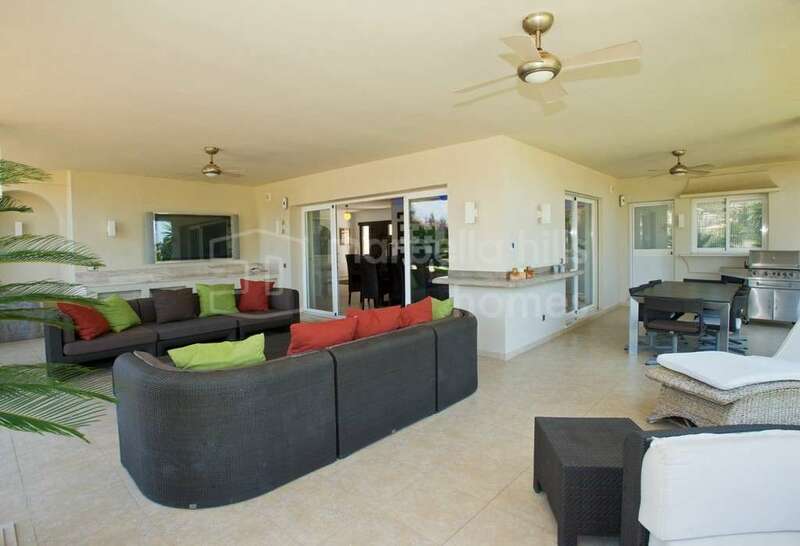 The upper floor consists entirely of the master bedroom suite and enjoys the views. 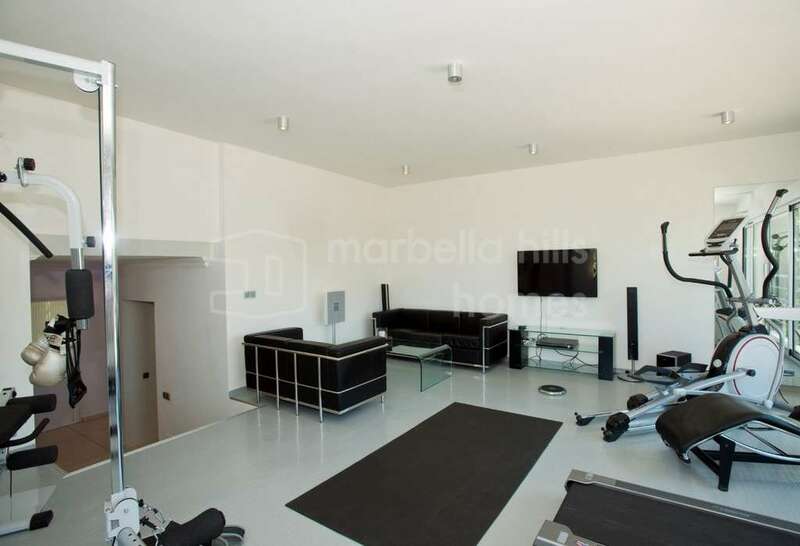 Furthermore there is a gymnasium. 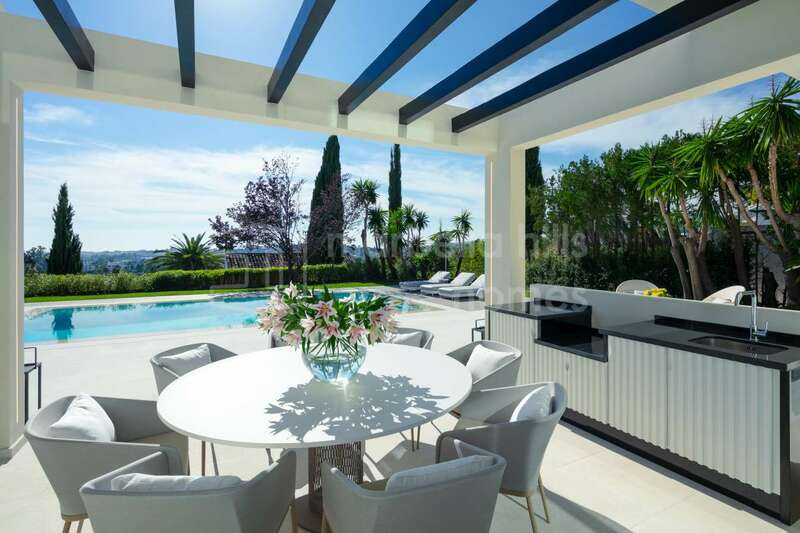 Surrounded by manicured landscaped gardens with an outdoor heated swimming pool and extensive terraces to enjoy al fresco. 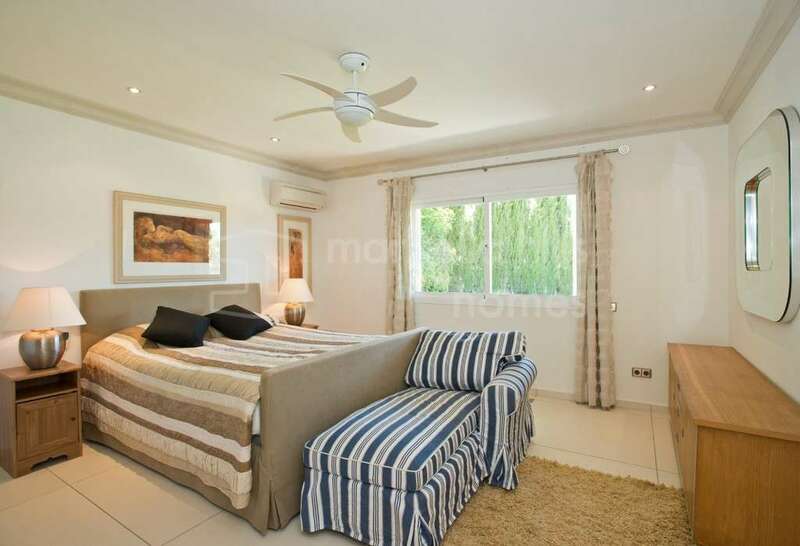 Front line golf, Alarm, Barbeque, Air conditioning, Central heating.